Ok, here goes. I know a for White lives unconditionally, but what about b? I know it can lead to this ko, but can Black do better? I.e. Can he kill the stones outright? No, this throw-in ko is the best Black can get. This is a good example of the "My opponent's vital point is my vital point" proverb, don't bother with all that fancy pants ko reading and try white's living move first for black to kill. I think you misinterpreted the question. In the first diagram, white should play a. 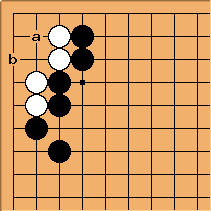 Suppose white makes a mistake and plays b instead. Then can black kill? 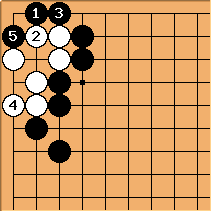 If white has already played b, then black a won't kill. I agree that the ko is the best black can do.